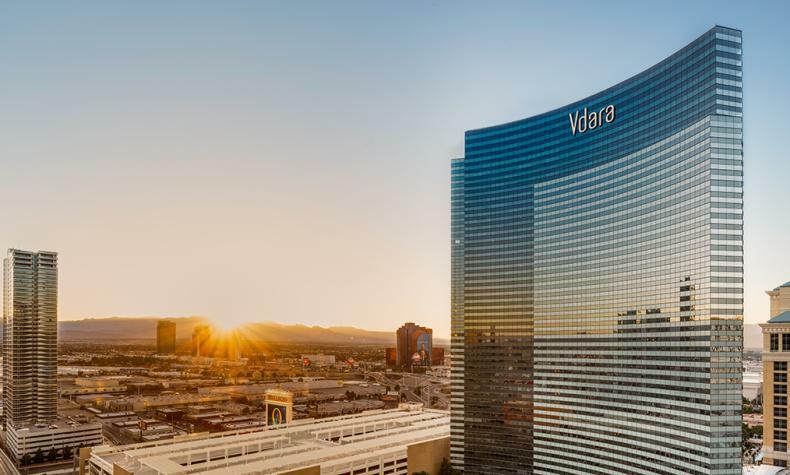 Sophistication and international flair are at the Vegas skyline with Vdara Hotel & Spa. Designed by world-renowned RV Architecture, the all-suite, nonsmoking, non-gaming boutique hotel and spa offers exclusivity with modern amenities and services. Feel removed from, yet close to, the Strip’s hustle and bustle. Plus, enjoy access to many ARIA Resort & Casino amenities. Sit atop the porte cochere, or enjoy Pool & Lounge Vdara, with cabanas, daybeds and semiprivate plunge pools.